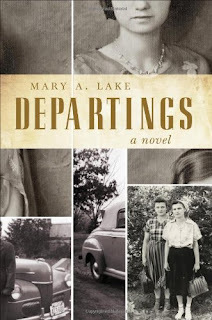 This novel is told in 3 persons, each person Lorraine, Amanda and Bo describing and reminiscing about the overlapping time frames from 1908 to 1989. The meshing of the 3 characters adds a unique element to the development of the novel. It does however get fairly confusing to be constantly jumping back and forth in time, even though the author clearly marks each chapter with the time it is set in. There are extended family members in different years of the book and on occasion I would have to look back to see what family was related to whom. I enjoyed the developing characters, their relationship with one another especially during the hardships of our country’s history in the great depression era. The family dynamics add to the research done by the author into the history represented. I always enjoy a historical novel that can lead the reader to relive times gone by. The story really just follows the day to day living of the characters, but much can be found in the simplicity and the developing of the youngsters into the adults that they become later in the story. Decisions and how they impact their lives later, the relationships with their siblings and parents, as well as the times going on around them all bring the novel a simple charm. Sounds like a lovely book. Great review.